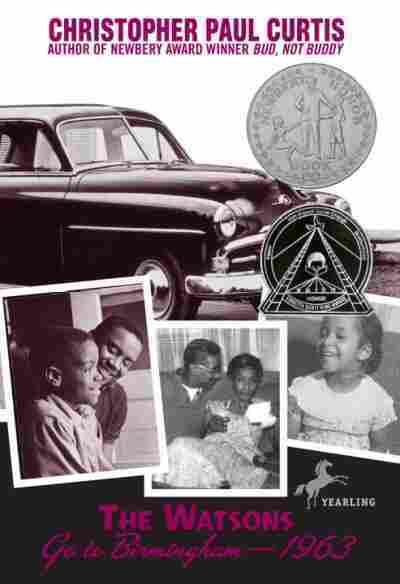 January Kids' Book Club Pick: 'The Watsons Go To Birmingham - 1963' Christopher Paul Curtis tells the story of a Michigan family traveling south to Alabama during the height of the civil rights movement. Curtis composed the novel in his head while working on automobile assembly lines in Flint, Mich.
Every so often a book becomes a modern classic almost as soon as it arrives on bookshelves. That happened in the mid-'90s when Christopher Paul Curtis released his first book, The Watsons Go to Birmingham — 1963. It's the story of a hilarious 10-year-old named Kenny whose family is quirky, proud and loving. Kenny is a middle child, and everyone knows he is whip-smart. His older brother, Byron, is what you might call street smart. His pranks are always landing him in trouble, so much so that the Watsons decide to send Byron to stay with his grandma in Alabama to help him straighten up and fly right. And what a summer for such an adventure. As the title suggests, the story takes place during 1963, a year when the push for civil rights would reach a boiling point. As the Watsons leave Flint, Mich., to head for Birmingham, the family brushes up against one of the most shocking events in U.S. history — the bombing of the 16th Street Baptist Church. Teachers, librarians and parents immediately embraced the book in part because Curtis so thoroughly captured the voice of a smarty-pants, pre-teen boy. But the book also found a passionate following because it provides a way for adults to guide children through difficult terrain, such as the violence of the civil rights era and the racial hatred that claimed the lives of four little girls who died in the bombing. My family roots reach back to Birmingham, and I have turned to this book to help explain to my own children how a city I love was once so riven by hate that segregationists were willing to harm children to keep the races separate. Does your family travel in the summer to see relatives? What have you learned along the way? We'd love to hear your stories and your questions for Christopher Paul Curtis. Click here to submit your thoughts! The Watsons Go to Birmingham is a perfect book for NPR's Backseat Book Club in January. This book has the ability to entertain and inform young readers as the country remembers the civil rights leader Martin Luther King Jr. for the national holiday in his name. It also provides some powerful lessons about following your dreams. 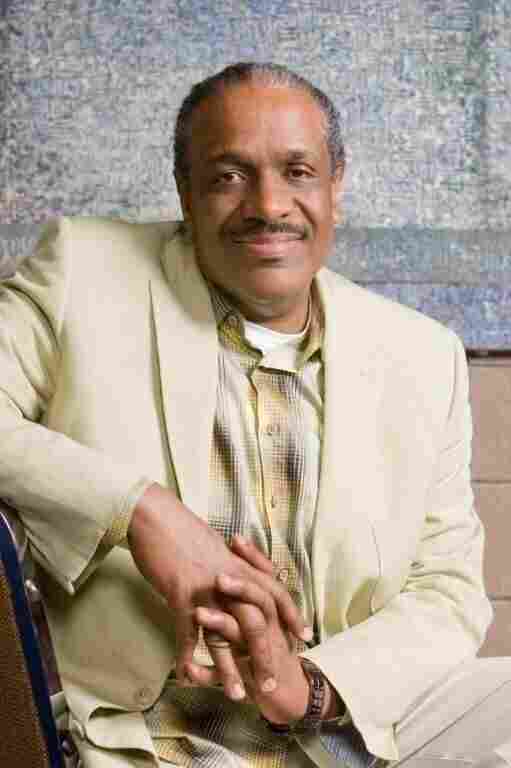 Christopher Paul Curtis spent years working in automobile plants in Flint, Mich. He made a comfortable living, had job security and enviable employee benefits. But he yearned to be a writer. As he loaded 80-pound doors onto the frames of large Buicks, his mind would wander to the stories he planned to tell one day. He would write in his head on the assembly line, and then write like the wind on paper during his break. Curtis eventually took time off from his job and holed up every day at a children's library, writing his story out in longhand. His son would transcribe the scribbles into the family computer at night. Curtis believed in his dreams, and he believed his book would find an audience if he made sure the voices and the settings felt authentic. Christopher Paul Curtis spent years working in automobile plants in Flint, Mich., but dreamed of becoming a writer. During assembly line shifts, Curtis came up with plot lines — and then hurriedly wrote his stories down on paper during breaks. The result was a stunning debut. The Watsons won a Newbery Honor and a Coretta Scott King award. It also affirmed Curtis' goals. He left the assembly line for good and went on to produce a series of popular children's books, including Bucking the Sarge, Elijah of Buxton and Mr. Chickee's Funny Money. In January, he releases a new book called The Mighty Miss Malone, based on a character first introduced in his second book, Bud, Not Buddy. We hope you enjoy The Watsons Go to Birmingham — 1963 as much as we do. If you need proof of how deeply this book resonates with children, just go online to see all the homemade movies kids have made re-enacting some of the key scenes from the book (including the moment when the vainglorious Byron gets his lips stuck when he kisses himself in the side-view mirror of the family car). The book is filled with laughs and with history lessons, including the story of the great migration of black families who left the South in droves looking for opportunity up North. Ten-year-old Kenny is a wonderful tour guide on this journey. He'll stay with you for years. The book is also a wonderful inspiration for children to look at their own family histories and the things they learn when they pack up the car and hit the open road. Does your family head somewhere in the summer to see relatives? What have you learned along the way? We'd love to hear your stories. And we look forward to receiving your questions so we can include them when we speak to author Christopher Paul Curtis. Please send us your questions here or email backseatbookclub@npr.org. Please remember to tell us your first and last name, age, city and state.